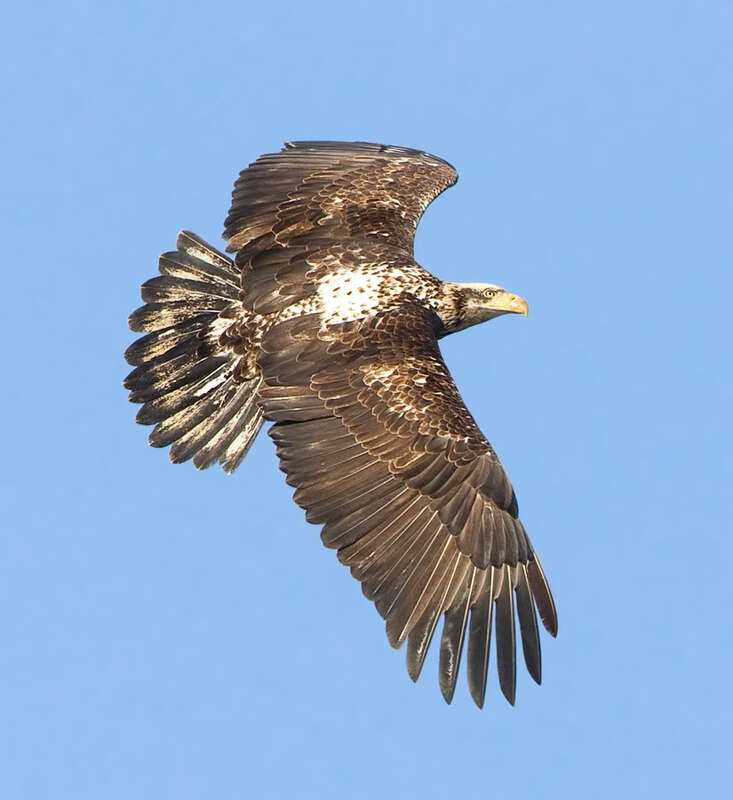 A Bald Eagle dives suddenly toward the water, huge wings canted, talons outstretched. A merganser floating on the bay is its intended prey, but the duck dives before the eagle can strike. But a second eagle swoops down. After five minutes of repeated passes, one of the eagles plucks the merganser from the water, and the eagles share the results of their cooperative hunting. To see more photos of eagles, visit PaulBannick.com. 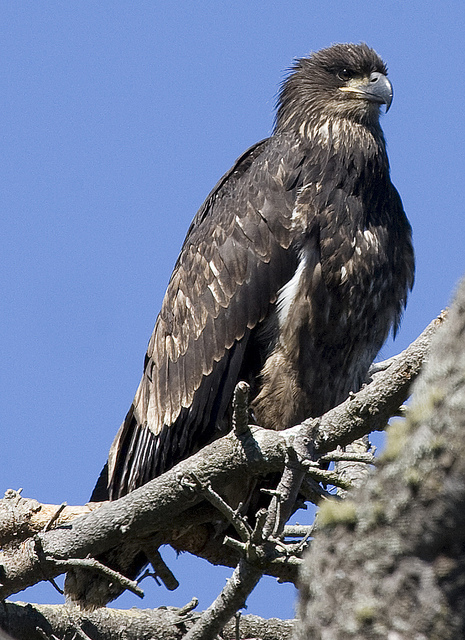 The first eagle dives suddenly toward the water, huge wings canted, talons outstretched. A merganser floating on the bay is its intended prey, but the duck dives before the eagle can strike. [Light splashing sounds intermixed] Half a minute later, the merganser pops up, only to see the second eagle swooping down. The duck dives again, a narrow escape this time, barely time to take a breath. The attack continues, the eagles diving in tandem on the duck, again and again. Before long the duck is exhausted. After five minutes of repeated passes, one of the eagles plucks the merganser from the water. 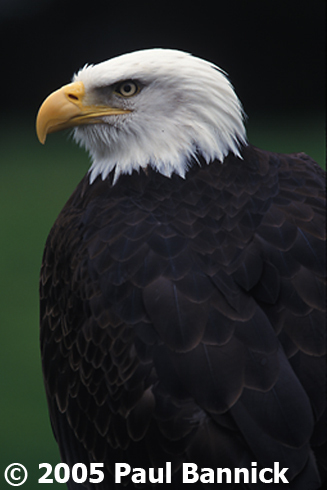 [Bald Eagle calls] The eagles share the results of their cooperative hunting. 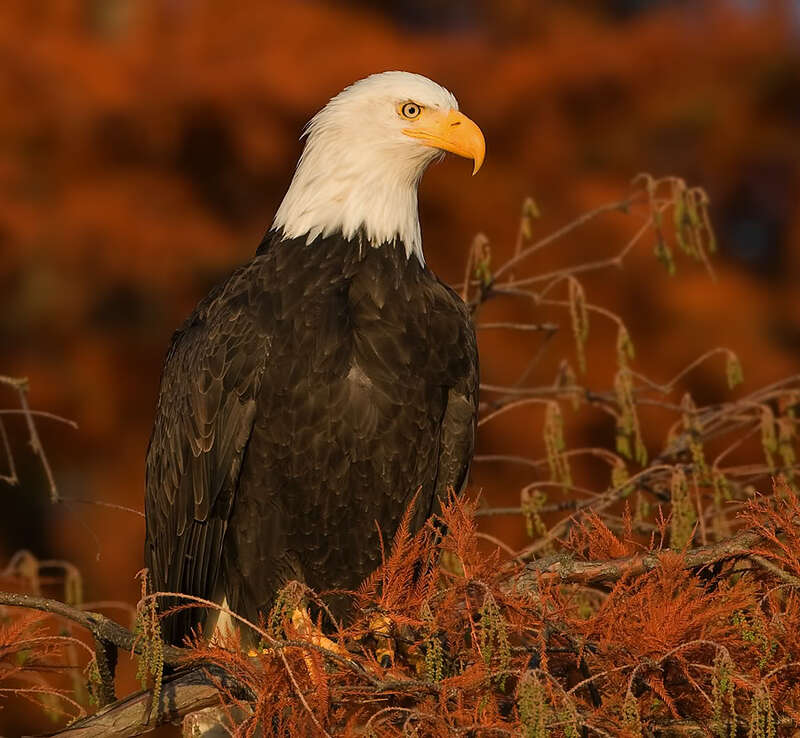 You can see a beautiful photo of an eagle by bird photographer Paul Bannick, when you visit our web site, BirdNote.org. I’m Frank Corrado. Bird audio provided by The Macaulay Library of Natural Sounds at the Cornell Lab of Ornithology, Ithaca, New York. 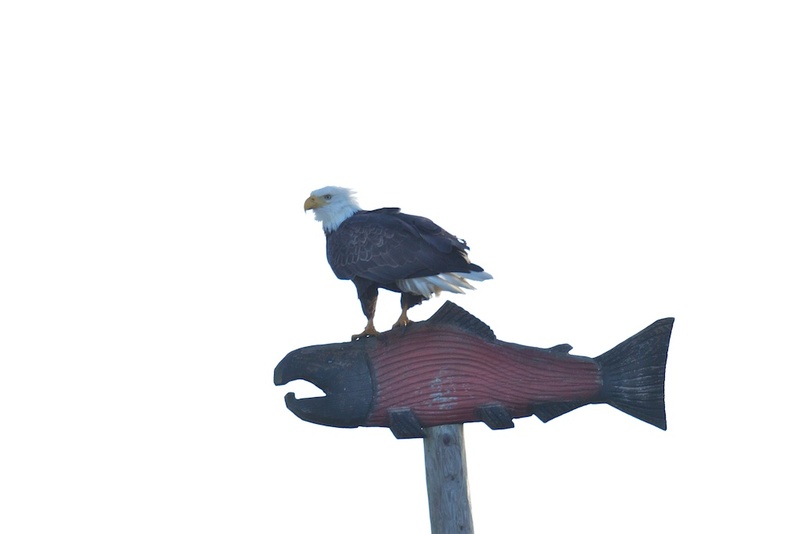 Bald Eagle pair recorded by J.R. Storm. Common Merganser call and Barrow’s Goldeneye in flight recorded by W.W.H. Gunn.